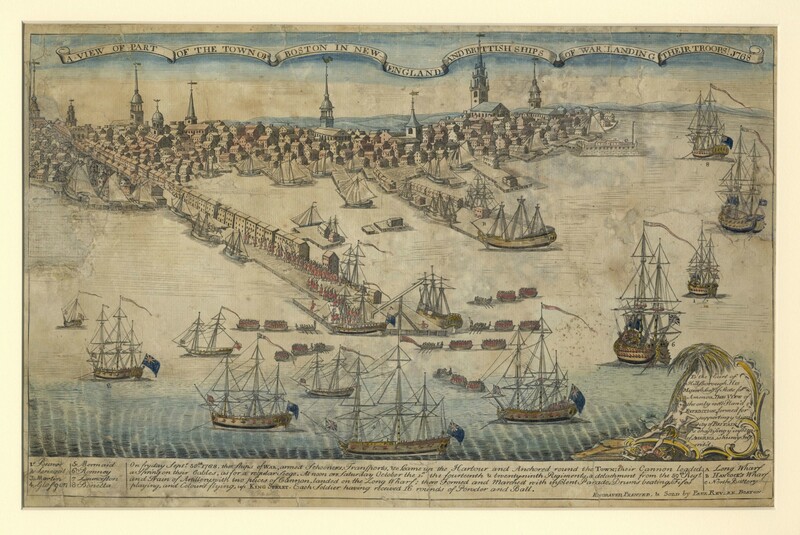 A vivid exhibit of maps made in Boston in the century prior to the Revolution is open through March 10, 2014 at the Boston Public Library’s Leventhal Map Center. 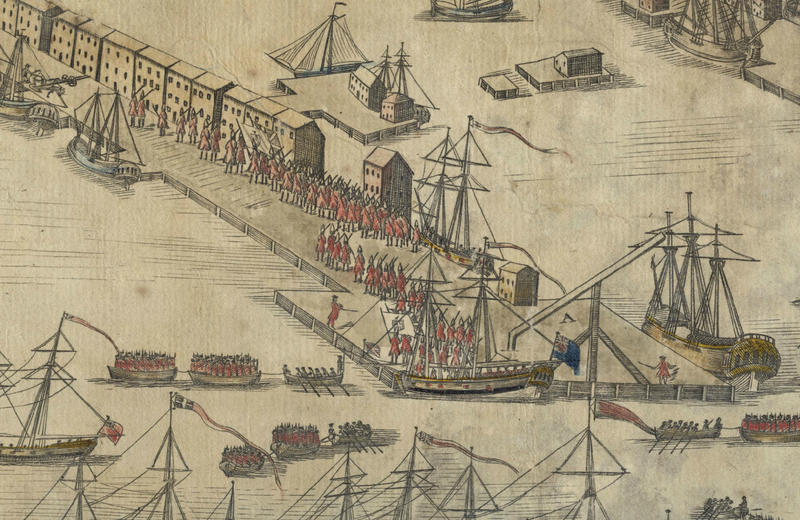 The exhibit is curated by Mike Buehler, of Boston Rare Maps. Mike is an astonishingly good researcher, who has helped me on several occasions make sense of maps through his extensive knowledge of history and mapmaking. The exhibit is organized into themes, such as mapping New England, mapping Boston, contest for empire, contest for land. You can explore the exhibit digitally here. The digital exhibit allows for examination of all the maps in the exhibit, along with useful descriptions. 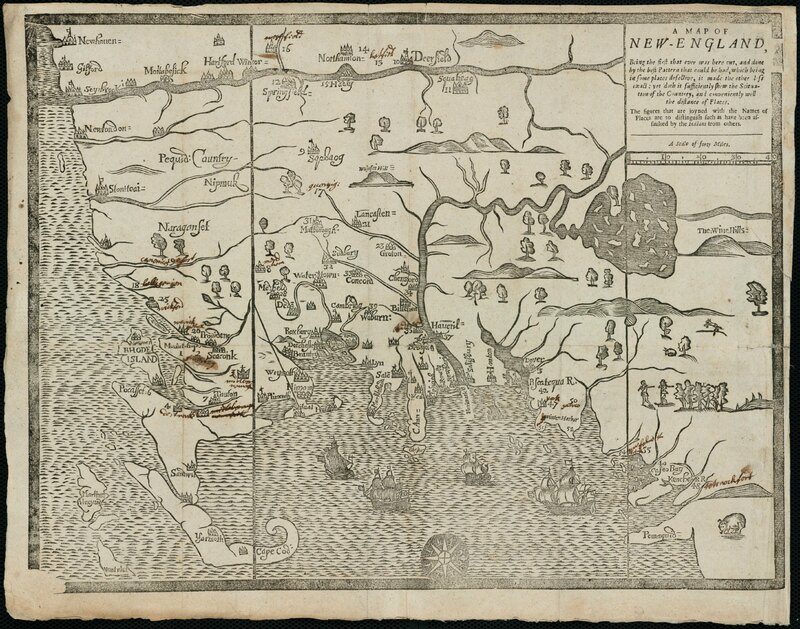 I was intrigued by one of the earliest maps in the exhibit, “A Map of New-England,” taken from the Boston Public Library’s own collection of rare maps. 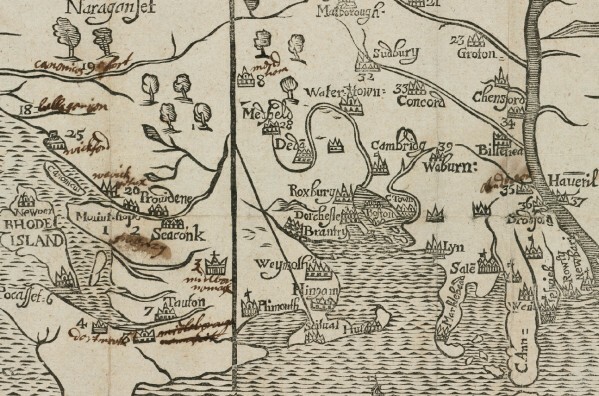 The map was created by John Foster in 1677 to illustrate the devastation wrought by King Philip’s War, which had concluded just the year before. It was, at the time, the best and most definitive map of the region. The brutality of that war damaged several towns of the area, and decimated the Algonquian tribes. A close up of the map includes numbers by several of the towns, to mark those attacked by the Indians during the late war. Another electrifying image is this one made by Paul Revere, just weeks after the Boston Massacre, from the American Antiquarian Society. The map’s urgent title says it all, “A View of Part of the Town of Boston in New-England and British Ships of War Landing Their Troops!” Revere identifies the different ships, the red-coated soldiers on the docks, rendering a scene of intense invasion from the sea towards the harbor. The maps were drawn from several area institutions, including the Massachusetts Historical Society, the Boston Athenaeum, the Harvard Map Collection, the John Carter Brown Library at Brown University and the American Antiquarian Society. Last week the Wall Street Journal ran a lovely review of the exhibit. 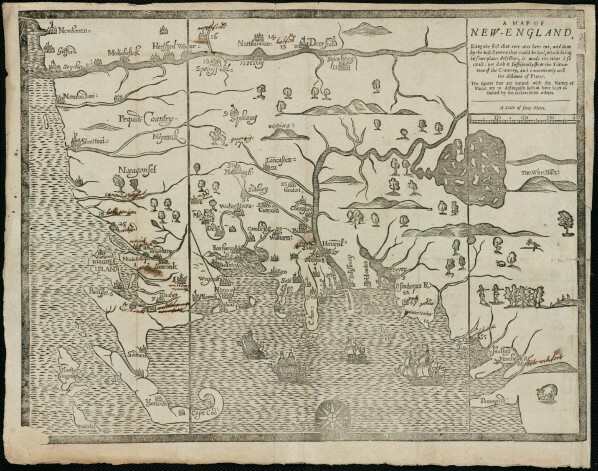 Congratulations to Mike Buehler, Ron Grim, and everyone at the Leventhal Map Center!